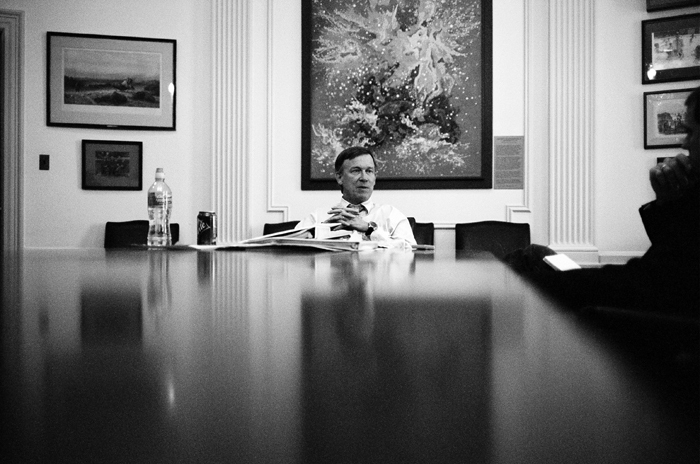 From an English major in undergrad, to a master’s student in Geology, from a young entrepreneur in a derelict part of 1980’s Denver, to the Mayor’s office, John Hickenlooper’s path to politics has been anything but direct. In office, he has led this city through huge changes and growth. He’s pushed for greater accountability in sustainable development, in green house gas emissions, and in police department reforms. As he embarks on the Governor’s race, we sat down with him to discuss one of the defining aspects of his tenure in the Mayor’s office, Denver’s Road Home, our 10-year plan to end homelessness. Five years into this plan, Denver’s Road Home has accomplished several of its numeric goals in terms of providing services, though the homeless population has grown. Though well short of ending homelessness among either chronic or temporary populations, DRH has managed to bring more than 1,500 housing units online for the homeless, and has made homelessness a central aspect of community action in Denver. The recession triggered a spike in Denver’s homeless population, which grew from 2,628 in 2005 to 6,659 in 2009, or almost a 61 percent increase. Much more needs to be done to solve the problem. Without the centralized services created by DRH, the coordination of faith based efforts to support the homeless and the infusion of money generated by DRH, this population will balloon more. Mr. Hickenlooper talks to us about how DRH started, what motivated him to throw his weight behind it, where we need to go from here, and how successful aspects of DRH could be applied across the state.